From the stabbing of Julius Caesar (“Et tu, Brute?”) to the shooting of Mahatma Gandhi and J.F.K., assassinations of famous political figures and celebrities have always fascinated historians and the general public. Many political assassinations possibly changed the course of history, and because of that, people wonder: could any have been prevented? You be the judge. What follows are 25 of the most infamous assassinations in history. 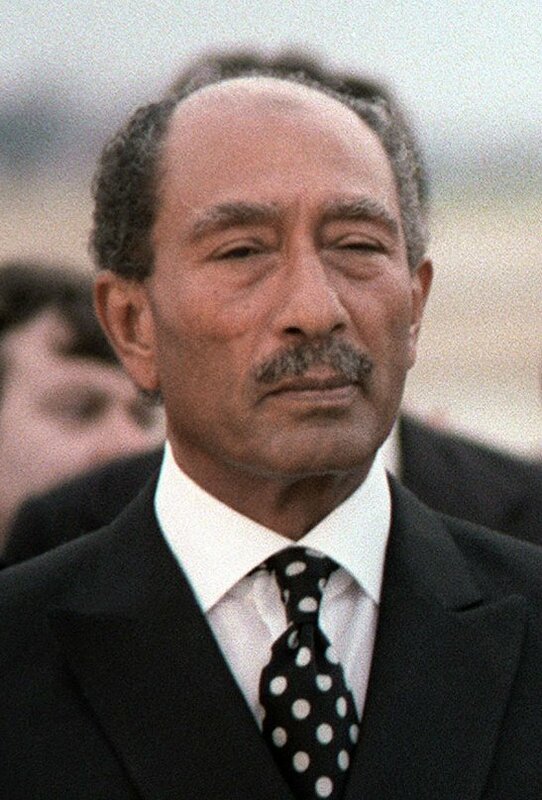 A member of the Free Officers who overthrew King Farouk in the Egyptian Revolution of 1952, Anwar Sadat was the third Egyptian president, serving from October 15, 1970 to his assassination on October 6, 1981. It has been said that Sadat was assassinated at the height of his unpopularity, the negotiated Sanai treaty with Israel was extremely unpopular with Islamists … the Egyptian radical group ‘Egyptian Islamic Jihad’ in particular. Sadat was assassinated during the annual victory parade held in Cairo on October 1981. The killer, Kalid Islambouli was part of a cell hidden within the Egyptian military; he was missed in a roundup of over 1,500 suspected members of El-Jihad. Islambouli was tried, found guilty, sentenced to death, and executed by firing squad in April 1982. Abraham Lincoln was the 16th president of the United States and is most famous for his Emancipation Proclamation, and leading his country through one of the most turbulent times in American history, the Civil War. He was assassinated by a well-known actor and confederate John Wilkes Booth on April 15, 1865 while attending the theater. Lincoln’s bodyguard left the theater during the intermission to drink with the coachman in the saloon next door. Following his shooting of the president, Booth fled and was killed ten days later by Sergeant Boston Corbett on April 26, 1865. James Abram Garfield was the 20th President of the United States. A nine-time elected member of the U.S. House of Representatives (1863–1881) his presidency lasted only 200 days before he was assassinated by Charles J. Guiteau. Guiteau was a writer, lawyer and preacher who believed himself to be a responsible for Garfield’s victory. After borrowing money to buy the revolver, and stalking the President for a number of weeks, Guiteau made his move, shooting Garfield twice in the back while he was walking through the Baltimore and Potomac Railroad Station on July 2, 1881. Garfield died on September 19, 1881, likely due to unsanitary surgical conditions causing infection. Guiteau was found guilty on January 25, 1882 and was hanged on June 30, 1882, in the District of Columbia. Alexander Litvinenko was a possible MI6 agent who had defected from Russia, where he was an FSB agent. Litvenko fell ill on November 1st, 2006, on November 3rd his condition deteriorated to the point that he was hospitalized. He died three weeks later of acute radiation syndrome, caused by exposure to polonium-210. It is widely accepted that Litvinenko was poisoned via a cup of tea while in his hotel room. The younger brother of U.S. President John F. Kennedy, Senator Robert F. Kennedy was shot by a Palestinian man, Sirhan Sirhan, on June 5, 1968. Following an address to his supporters after winning the California presidential primary, Kennedy decided to take a shortcut through the kitchen on his way out, despite being advised against it by his bodyguards. In the crowded kitchen passageway, Sirhan Sirhan took his chance and shot Senator Kennedy three times, Kennedy died a day later. Sirhan was convicted on April 17, 1969, and was sentenced to death in the gas chamber. Three years later, and after many appeals, his sentence was commuted to life in prison. Rabin was the fifth Prime Minister of Israel. He served two terms in office, 1974-1977 and 1992 until his assassination in 1995 at the hands of Yigal Amir, an Israeli terrorist who was violently opposed to Rabin’s signing of the Oslo Accords, the framework for a peaceful resolution to the Israeli-Palestinian conflict. Amir struck at the end of a rally in support of the Oslo Accords. As Rabin was walking towards his car Amir fired three shots, two of which struck Rabin while the third injured his bodyguard. Rabin died on the operating table less than an hour later. Yigal Amir was sentenced to life in prison plus six years for injuring Amir’s bodyguard. Faisal bin Abdulaziz Al Saud was King of Saudi Arabia from 1965 to 1975, On March 25, 1975, he greeted his nephew, Prince Faisal bin Musaid, who had recently returned from a visit to the United States. While leaning in to kiss his nephew in accordance with Saudi custom, the Prince drew a pistol and fired point blank at the King. Struck twice in the head, King Faisal was rushed to the hospital, he died shortly thereafter. Prince Faisal was captured directly after the attack, and was eventually sentenced to death. He was beheaded in Riyadh on June 18, 1975. Phillip II was King of the Greek kingdom of Macedon, and most notably the father of Alexander the Great. During a celebration of the marriage between Alexander I of Epirus and Philip’s daughter, Philip was killed by one of his own bodyguards, Pausanias of Orestis. Following the assassination, Pausanias made an attempt at escape, he was pursued by three of Philip’s bodyguards, who later caught and killed him. Tsar Alexander II of Russia was best known for freeing the serfs in 1861, for which he became known as Alexander the Liberator. While on route to his usual Sunday appointment, Alexander’s carriage came under attack in the form of a bomb thrown by Narodnaya Volya, a member of a Russian left-wing terrorist organization known as The People’s Will. The emperor, unscathed by the explosion left his carriage, only for another bomb to fall at his feet, this one thrown by Ignacy Hryniewiecki, another People’s Will member. Alexander died shortly thereafter. William McKinley the 25th President of the United States, served from March 4, 1897, until his assassination on September 4, 1901 at the hands of Leon Czolgosz, a second generation Polish immigrant who had been inspired by the noted anarchist Emma Goldman. After waiting in line to meet the President after his return from Niagra Falls, Czolgosz drew a pistol that he had concealed in a handkerchief to bypass security, and shot McKinley twice in the stomach. McKinley died 10 days later. Czolgosz was convicted on September 24, 1901 and sentenced to death. He was executed by electric chair on October 29, 1901. Benazier Bhutto was a Pakistani politician who served two nonconsecutive terms as Prime Minister of Pakistan. While leaving a campaign rally on December 27, 2007 Bhutto was shot after standing up through the sunroof of her bulletproof vehicle, while a simultaneous explosion was detonated near the car killing 20 people. She was immediately rushed to the hospital, where she died an hour later. It was eventually determined that she died from blunt force trauma due to being thrown by the explosion. Harvey Bernard Milk was the first openly gay person to be elected to public office in California. He won his seat as city (San Francisco) supervisor in 1977, and served almost 11 months before he and Mayor George Moscone were assassinated by Dan White, a city supervisor who had recently resigned but wanted his old job back. After a confrontation, White shot both Milk and Moscone. Mohandas Karamchand Gandhi was the leader of Indian Nationalism in British Controlled India. He followed a path of nonviolent civil disobedience and led India to independence. While on his way to a prayer meeting, he was accosted by Nathuram Godse, who fired three bullets into his chest at point-blank range. Following the attack, Gandhi was taken to Birla House, where he subsequently died. On November 8, 1949 Godse was sentenced to death; he was hanged a week later. Indira Gandhi was the third Prime Minister of India, serving two nonconsecutive terms, from 1966 – 1977 and from 1980 until her assassination in 1984. After being interviewed by Peter Ustinov for a documentary for Irish television, she was walking through a garden when two of her bodyguards, Satwant Singh and Beant Singh, drew their weapons and opened fire on her. The assassins surrendered immediately. Satwant and a co-conspirator Kehar Singh were sentenced to death, while Beant Singh was shot while in captivity. Rajiv Ratna Gandhi was the sixth Prime Minister of India, taking office the same day his mother Indira Ghandi was assassinated in 1984. While visiting a village on the campaign trail for a Sriperumbudur Lok Sabha Congress candidate, Rajiv was approached by a woman, after greeting him she bent down and detonated over 700 grams of explosives that she was wearing, killing Ghandi and at least 25 other people. 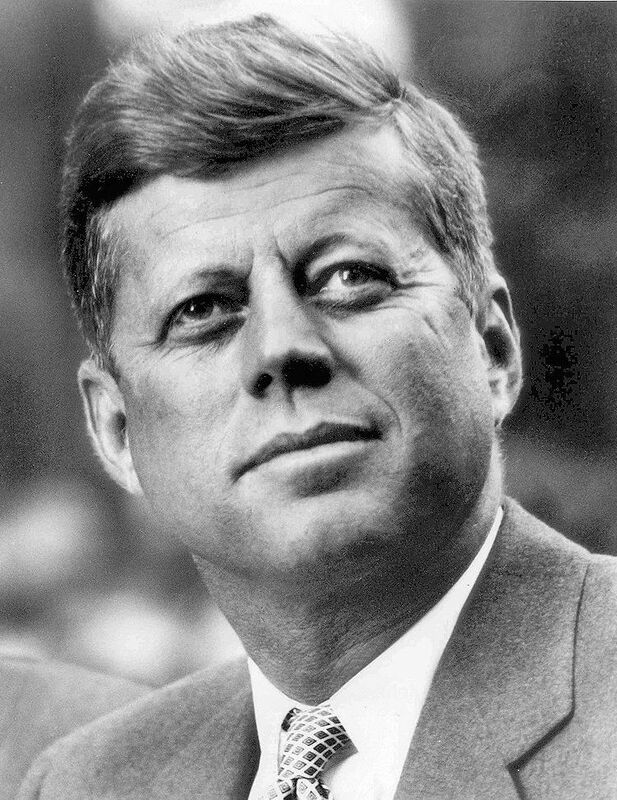 John Fitzgerald Kennedy was the 35th president of the United States of America, serving from his election in 1961 to his assassination in 1963. Kennedy was assassinated in Dallas, Texas, at 12:30 pm Central Standard Time on Friday November 22, 1963. While sitting in the back of the presidential limousine, JFK was shot three times, the first hitting him in the throat, the second hitting him in the back, and the final shot striking him in the head. Lee Harvey Oswald, an employee of the book depository from where Kennedy was shot, was taken into custody by a local police officer. According to government investigations, Lee Harvey Oswald was the sniper who assassinated John F. Kennedy. On Sunday, November 24, Oswald was being led through the basement of police headquarters in Dallas when nightclub owner Jack Ruby left the crowd and shot Oswald in the chest. Oswald was taken to the same hospital where JFK was treated; despite their efforts he died that same day. Ruby was found guilty of murdering Oswald and sentenced to death, after an appeal he was granted a new trial, but while awaiting trial he died in jail of a pulmonary embolism. Martin Luther King Jr. was a pastor, humanitarian, and leader of the African-American civil rights movement. On March 29, 1968, King went to Memphis, Tennessee, in support of striking workers. At 6:01 p.m., April 4, 1968, while standing on the second floor balcony of his room at the Lorraine Motel, King was shot in the head by a sniper. He was rushed to the hospital for emergency surgery, but was pronounced dead at 7:05 PM. John Winston Ono Lennon was a singer, songwriter, and founding member of one of the most iconic bands in the world, The Beatles. Early in the evening of December 8,1980, Lennon signed a copy of Double Fantasy for a man named Mark David Chapman. At 10:58 PM, while returning home with his wife Yoko Ono, Chapman shot Lennon the back four times. Lennon was rushed to the hospital, but was pronounced dead on arrival. Chapman was convicted of the murder of John Lennon, and was sentenced to 20 years to life in jail. Assassin: Talmadge Hayer, Norman 3X Butler,Thomas 15X Johnson. Malcolm X, born Malcolm Little, and also known as El-Hajj Malik El-Shabazz was a human rights activist, advocating the rights of African Americans. On February 21, 1965, while preparing to address the Organization of Afro-American Unity in Manhattan’s Audubon Ballroom three men rushed forwards firing weapons, he was struck many times despite the best efforts of his bodyguards to protect him, he was pronounced dead at 3:30 pm. The autopsy revealed 21 gunshot wounds to the chest, legs, arms, and left shoulder. The three gunmen were all convicted in March 1966 and sentenced to life in prison. Descended from King Louis IX, Henry IV was a “prince of the blood” and was King of Navarre from 1572 to 1610 and King of France from 1589 to 1610. Known by the name ‘Good King Henry” Henry IV was a man of kindness and compassion; despite this there were multiple attempts on his life. Henry IV was assassinated in Paris on May 14, 1610 by François Ravaillac, who stabbed him to death in the street. Ravaillac was taken into custody and repeatedly tortured, eventually he was pulled apart by four horses, a punishment reserved for those who committed regicide. 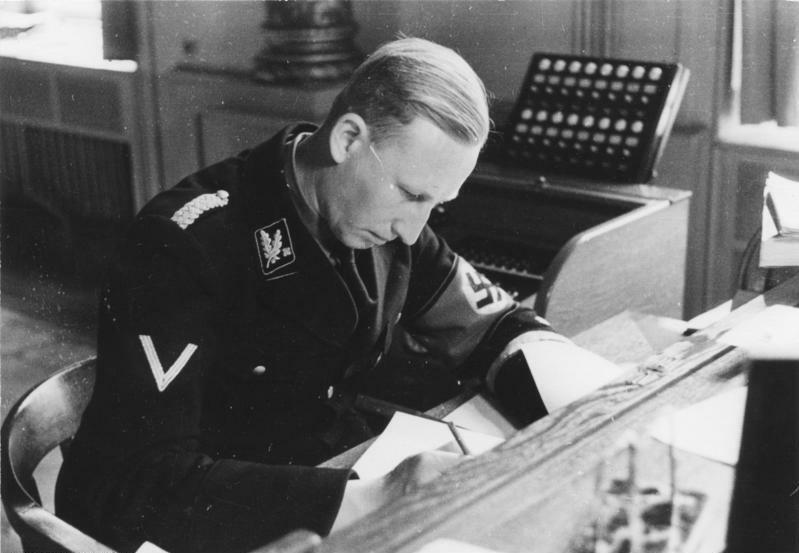 Reinhard Tristan Eugen Heydrich was a high ranking Nazi officer and one of the chief architects behind the holocaust. One of the darkest figures of the nazi regime, Adolf Hitler referred to Heydrich as “The man with the iron heart”. Jan Kubis and Jozef Gabcik orchestrated a coordinated attack on Heydrich on May 27, 1942, where he was fatally wounded by an explosive. Nawabzada Liaquat Ali Khan was a lawyer, statesman, and one of the founding fathers of modern Pakistan. Ali Khan attended the Aligarh Muslim University in India, later attending Oxford University in the United Kingdom. On October 16, 1951 during a meeting of the Muslim City League, Khan was shot twice in the chest, the public forum preventing further security measures. The assassin, Saad Akbar Babrak, a professional assassin was immediately shot and killed by police. Ali Kahn succumbed to his injures shortly after receiving a blood transfusion. 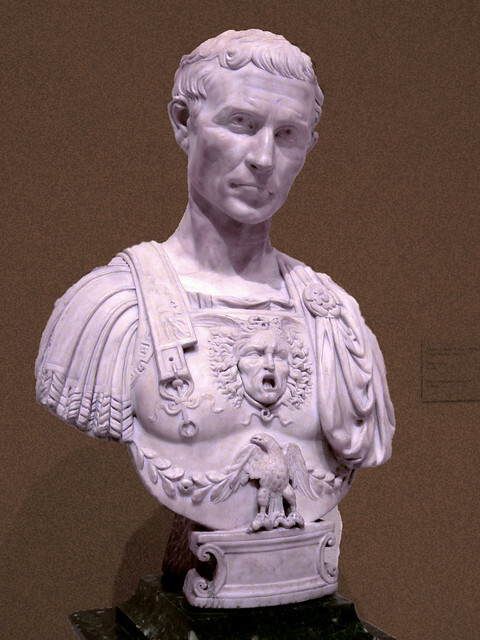 Gaius Julius Caesar was a roman general, and statesman. In January 49 BC, Caesar led his troops across the Rubicon and plunged the Roman Empire into a state of civil war, a war from which Caesar emerged the unrivaled leader of Rome. On the Ides of March (March 15) 44 BC Caesar was assassinated by a cabal of over 60 men, he received 23 stab wounds over the course of the attack. Archduke Franz Ferdinand of Austria was Royal Prince of Hungary and of Bohemia, and at the time of his death heir presumptive to the Austro-Hungarian throne. On Sunday, 28 June, 1914 Ferdinand was traveling via car with his wife when they were set upon and assassinated by Gavrilo Princip, a 19 year old member of Young Bosnia, and one of a group of assassins organized by the terrorist group, The Black Hand. This assassination set off a chain of events that would eventually lead to the breakout of World War I.